This is my 3rd Britax Carseat I purchased for my granddaughter. 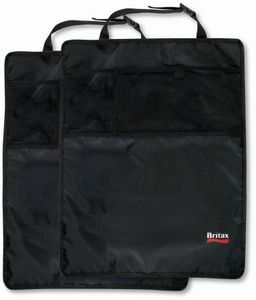 Both my kids had Britax car seats when they were little and I won't buy any other brand. They are made so well and so easy to install. This is our 3rd car seat purchased....for the same child :). An initial infant bucket seat that baby hated (why do they not give those more padding!?!?) 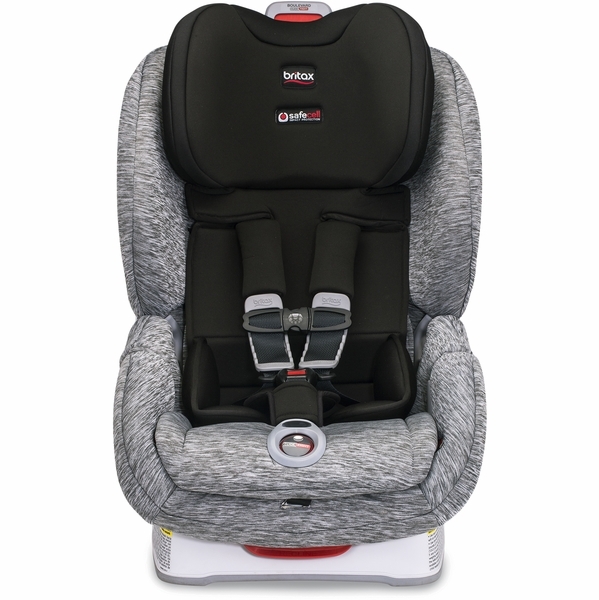 followed by purchasing a Maxi Cosi Pria 85 MAX* once outgrew the bucket seat in length (*Pria 85 MAX is lightweight, SUPER WIDE--- even in our Tahoe SUV!, a pain in the @$$ to install BUT very cushy for baby). I never felt comfortable installing the MC-Pria (could never get the LATCH install tight enough!) so it's now perma-installed in dad's vehicle while I can easily install this Britax Boulevard in Grandma's car or a friend's vehicle should we be riding with someone else. This thing is a tank! it's not too wide (unlike the Maxi-Cosi PRIA 85) and if you've been doing research/reading reviews, you already know that Britax with their steel shell is HEAVY. I'm 5'6, average weight and fairly fit and it's doable (although I wouldn't try to lift it if I was pregnant). The saving grace is that it's SUPER easy to install.... the only issue was a Ford vehicle which has the inflatable seatbelts (no-no for the ClickTight seatbelt install). Also, the heft of this one makes me feel like it's safer* than just plastic shell like the Maxi-Cosi (*personal opinion not based on any facts/research). 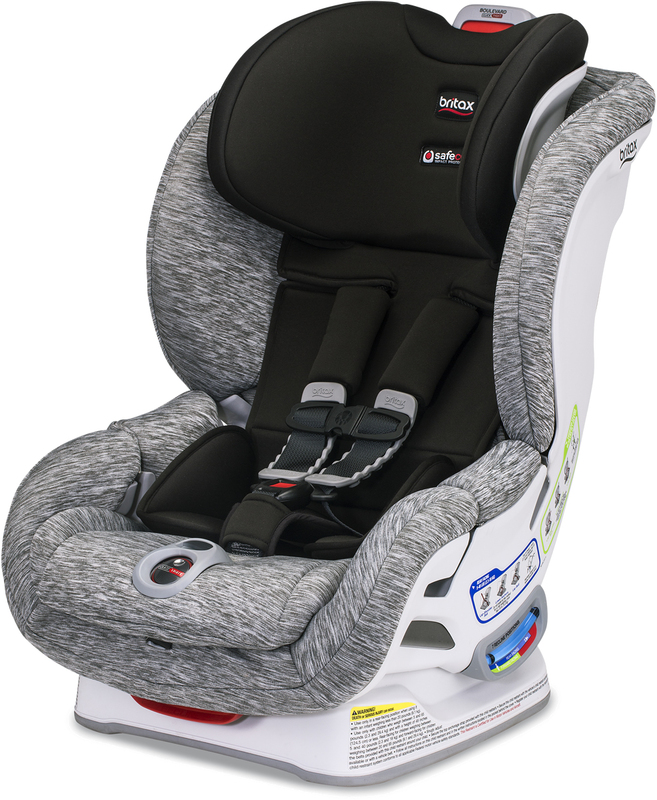 I also felt like the Britax is MUCH easier than the Maxi Cosi Pria Max 85 to get tightened. I like the rubber no slip pads on the chest b/c the velcro "comfort covers" (on this AND the Maxi Cosi) quickly get ripped off by a bored baby. 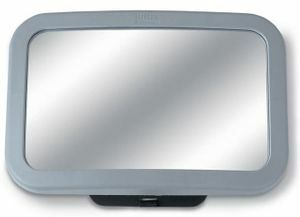 The only feature I wish Britax would adopt from Maxi-Cosi was their awesome magnetic chest clip.... that thing is magic. it practically closes itself and my child (who is fascinated and has mastered MOST buckles) still cannot undo it. I also specifically like the fabric of this model (Spark) as it seems to stay fairly cool in the Texas heat we live in (A/C 10 months of the year) and also vacuums out crumbs easily....some of the other fabric options I looked at in stores seemed a bit rough to the touch so I am glad I opted for this one sight-unseen. the 7 incline seemed like a big deal (Maxi Cosi Pria 85 only has 4 I think?) but honestly we've only changed it once (*figuring more inclined might induce sleep better than sitting up right). maybe it will be a bigger deal once forward facing in a couple years...? Also worth noting - this car seat (like the Chicco NextFit) is a very "bucket" or "shell" shaped. it does NOT have easy-to-load, low sidewalls like a Diono and some Evenflo models. While it personally doesn't bother me (again, adds to the perception of safety, esp cradling their growing spine/brain) it is worth noting, especially once you're wrestling a toddler to get into the seat. Dislikes: (1) after almost a year of owning, I did want to wash the fabric since some cheerios have been quite ground into some of the crevices. I surprised and disappointed to learn (reading the manual) that the cover is HAND WASH only and line dry.... unlike many other options like Maxi Cosi and Safety 1st car seats where you can machine wash and dry the cover. The cover is mostly easy to remove but hand washing is for the birds! 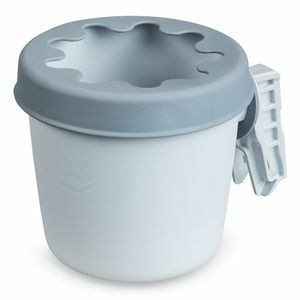 (2) no drink holder (keeps carseat narrow tho!) (3) high sidewalls/turtle shell shape = most toddlers will need help getting in (no self loading like perhaps a Diono might offer). This is perhaps added frustration during stages when child fights carseats. Pros(1)EASY to install (2) sturdy (3) Spark fabric (mostly) wipes/vacuums easily (4) baby/toddler seems comfy (well padded, fabric soft on skin) (5) and most IMPORTANT - safe! Best Usesinfant; toddler; preschooler. still rear-facing at over 2 years and plan to till 4 yrs if doesn't outgrow height! Great! Esp if you have limited space between front seats and back seats. Easy Install, I have a Infiniti Qx70 and had trouble finding a rear facing convertible car seat that fit without moving the front seats forward considerably. The Boulevard ARB fits nicely (in the middle seat) without having to push the front seats forward. It is a bit wider than other seats but installs super easy. Also the ARB does not cause the seat to take up anymore space which is super nice - especially in a smaller car. Baby boy is super comfy in the seat and the Nanotex fabric looks and feels awesome - have not had to try to clean it yet. I originally purchased the CLEK FLLO for my car because it is more narrow but I found even without the ARB (the ARB adds even more front to back length to the carseat) I had to push the front passenger seat to the dash to make it fit and it did not fit well in the middle. 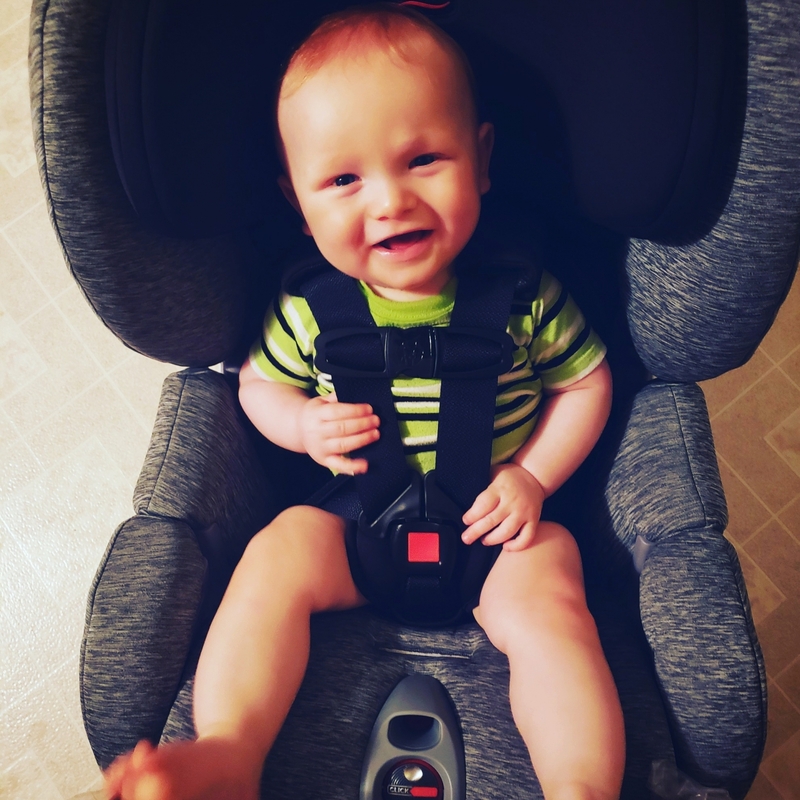 Luckily I purchased the Britax for my husbands car (Chevy Traverse) and was able to install the Clek easily in his car and install the Britax in mine. This is BY FAR our favorite car seat. 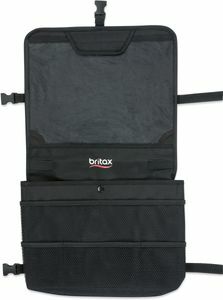 We just upgraded our daughter from her infant car seat, the Britax B-Safe 35, to the Britax Boulevard Click Tight. The car seat was easy to install in our SUV & the best part is, our daughter enjoys being in her new car seat. As she got bigger, she started to fuss more in her infant car seat. Now, when we carry her to the car & strap her into her new seat, she enjoys it!! I love the click tight mechanism letting me know our daughter is snugly Lockeâ€™s into place in her car seat. This car seat is very sturdy and seems safe. It is comfortable for my 1 year old. She is in the 97% so it works for tall children. 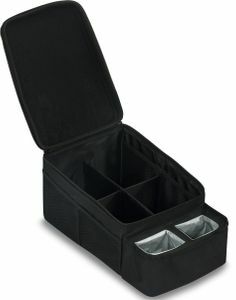 It is heavy and bulky but the installation is fairly simple. Over all a great product. This seat is wonderful, I moved my son to it when he was 6months old. We've been using it about a month. It's so much softer than the infant seat he was in. ConsThe tightening system 'clicks' when it's 'tight enough' but sometimes it's not correct. ALWAYS double check with the finger pinch test. Comfortable, nice appearance, nice fabric. Was so glad to find this option after searching everywhere online for something with softer fabric/nicer appearance that was under $400. The car seat met my expectations and was not difficult to install. My 11 month old child seems comfortable in it, and it is easy to buckle/unbuckle. 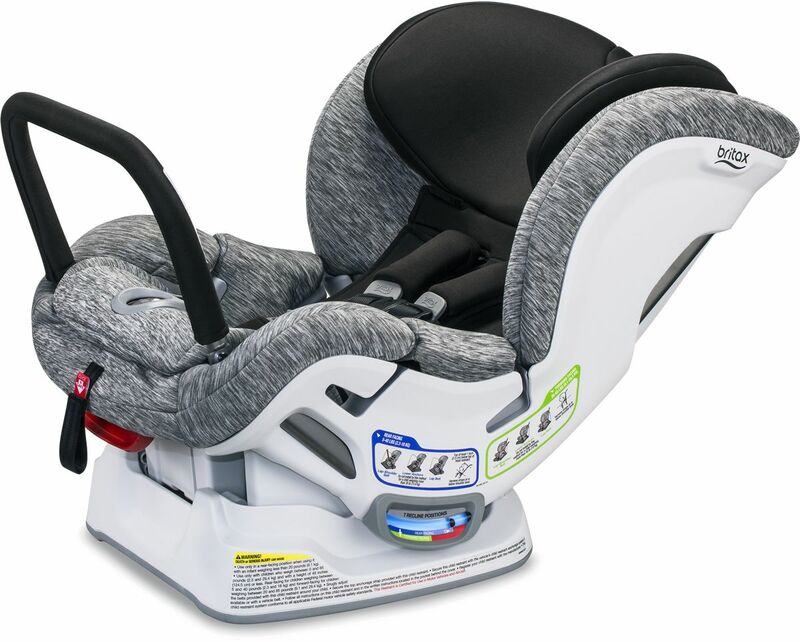 My only complaints are that it is slightly difficult to raise and lower the harness height and to adjust the recline (comparing to our previous peg perego infant bucket seat). Very easy to install correctly !!! 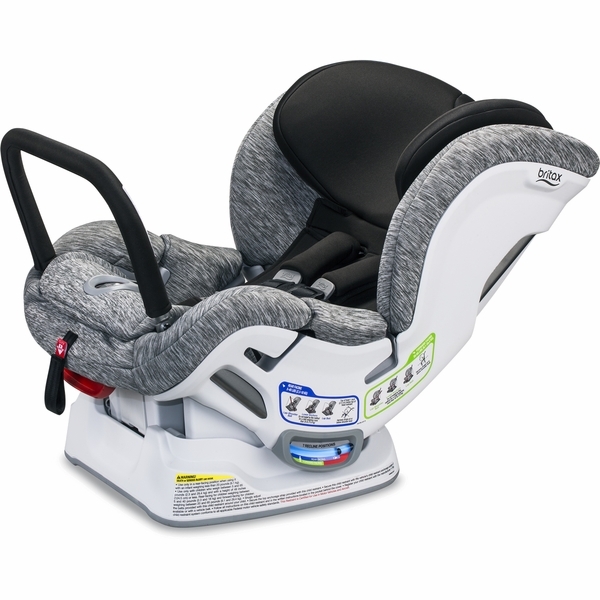 This is a great car seat that is very easy to install correctly and quickly. I love the anti-rebound bar, gives a little extra piece of mind. Minus one star because this car seat is heavy and it doesn't have any cup holders. The no cup holders isn't a deal breaker, as I use this car seat for the grandparents to share when picking up my child. The weight is a downside because even though the car seat can be installed in seconds, it is heavy to take in and out of the car and carry. Not ideal to carry into daycare and leave for someone else to pick up my child. Fine if you are transferring from one vehicle to the next and they are parked side by side. ***One of my vehicles is a 2014 F250 Supercab (extended cab) with a rear bench seat and this does not fit rear-facing. The seatbelt doesn't have enough length to feed thru the car seat and the vehicle does not have latch connectors, also not all of the base sits on the seat. I own 2 other convertible car seats that do fit in this same vehicle. I love this seat, its so soft and my little man is comfy being rear facing at age 2. I love the click tight gets the seat nice and tight and doesnâ€™t come loose. I rest easy knowing my seat is secured nice and snug. This is a great car seat! So simple to install and i love the elegant clean look. Baby E will surely love it too! I wish I could ride in it! 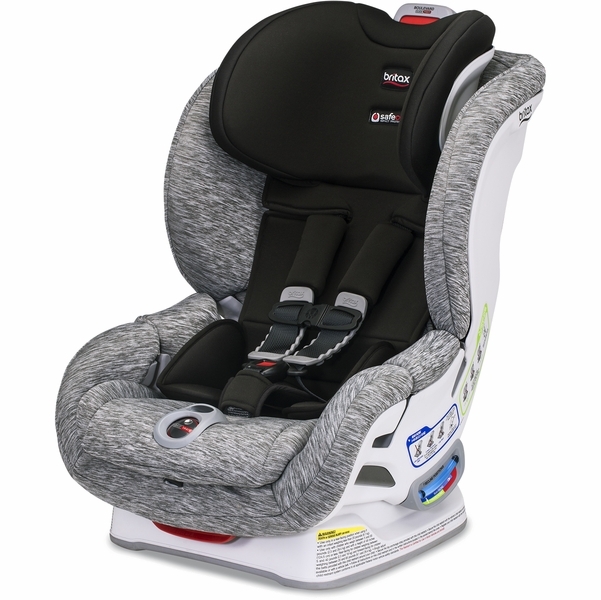 I love Britax click tight seats due to how easy they are to move to another car if my kids are staying with a famy member and have them for my other child. The fabric on the new nanotex one feels amazing and so soft compared to the one we have for our older child. 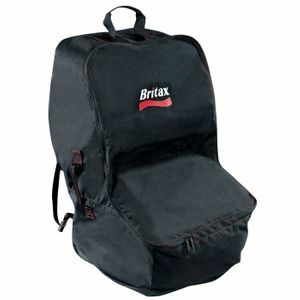 We love britax everything. We also love ordering from Albee baby. I have never had a problem with them with ordering and shipping. Super easy to install! the fabric feels very well made. One star off because the head rest is slightly difficult to move up and down with one hand. Overall a great purchase! I love our new seat. Its comfortable and the install is a breeze. I wanted a more expensive seat (rava) but this was the next best thing I found. I love the fabric and hope it washes well. But theres several cons to this seat that gives me buyers remorse. Best UsesPermanent seat in car for smaller stature children. I deliberated for 6 months between this and the Safety First Harvest Moon seat. I couldn't live without this one. The fabric was just so lux, I knew I would be disappointed if I chose otherwise. The easy installation is almost too easy! I was like "that's it?!" And the ease of pushing a button to loosen the harness to get baby boy out is great. I didn't think I would like the click tight method but it assures me Everytime that he's in there safely snug. He's a chunky baby and this seat accommodates him much better than the Britax infant seat. The only thing I don't love is lack of built in cup holders. But maybe it adds to the chic look of this seat. It's absolutely gorgeous which is incredibly difficult to achieve for a car seat. 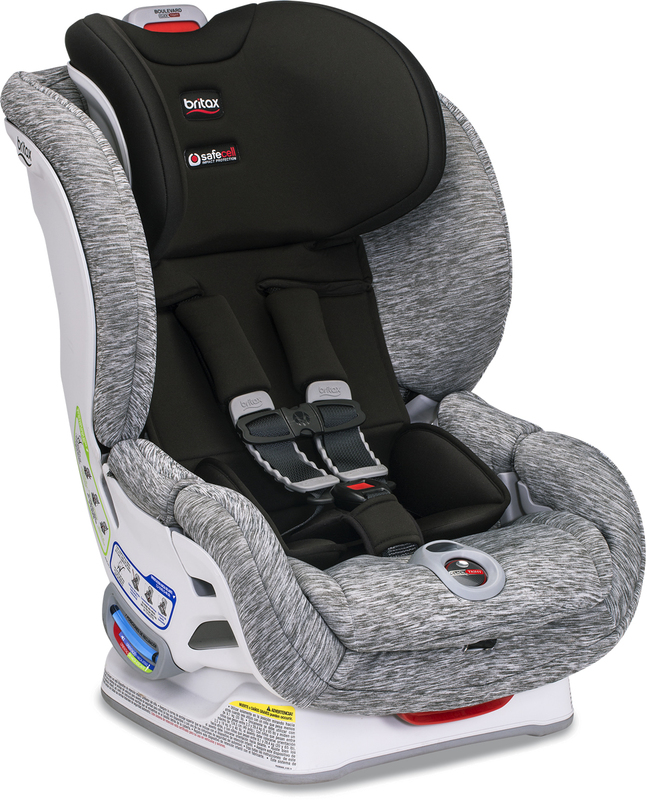 Another great Britax car seat! I like the new Nanotex fabric so far. It looks way nicer in person than in the pictures! Havenâ€™t had it long enough to vouch for its stain and odor resistance. 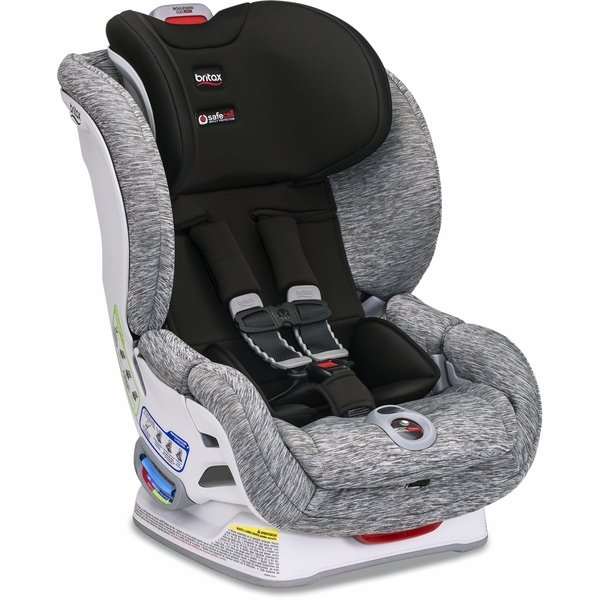 Has lots of great features of previous Britax carseats weâ€™ve owned... no thread harness adjustment and east strap adjustment, although the strap adjuster button is REALLY deep so it is not as easy to access as was on our previous Britax seats. The click tight took a little trial and error for me. Iâ€™m used to rachetting down the seat belt as tight as possible before clamping it down with the latches on the older Britax. With the Clicktight you have to leave the seat belt a little loose in order for it to close because it tighens the belt by taking slack out when it closes. I was disappointed that the latch connectors are the old cheap hooksðŸ™". For the price of these things surely descent latch connectors wouldnâ€™t be too much to ask so there is a good second option for restraining the seat. 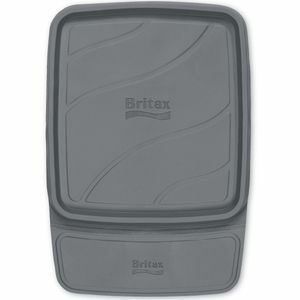 Overall another good car seat from Britax. Easy to use with great safety features! This is our second purchase of the same car seat as the other was involved in a minor accident. It is super easy to install and my LO seems to be very comfortable as we travel. I love that regardless of the almost unbearable heat in the summer, the seat never feels hot to the touch. It is also very easy to clean. This is my second boulevard clicktight (my 4.5 year old is still in hers). The clicktight feature has been a game changer and allows me to feel confident in how the car seat is installed. The anti-rebound bar is a new and welcomed safety feature for which I am a big advocate of extended rear-facing. I love the sleek design of this model with the new Nanotex material. I have not put the no spill no stain feature to the test yet but am confident in the video reviews I watched for research. ProsInstallation is easy. 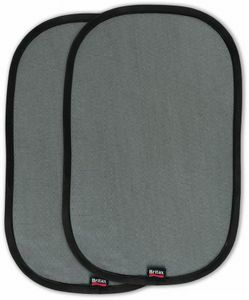 Plush foam padding for impact protection. ConsCar seat is heavy and bulky and not ideal if you plan to move from car to car often. This car seat was the 3rd one we purchased trying to find the right one. I wasn't a fan of how the Britax car seats looked. Finally I found this one and it was everything I was looking for in a car seat. 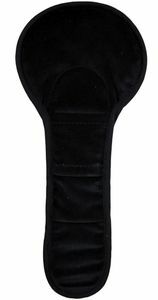 It is safe, looks nice, easy to intsall, and easy to tighten. I really like the look of this seat and it seems very sturdy. 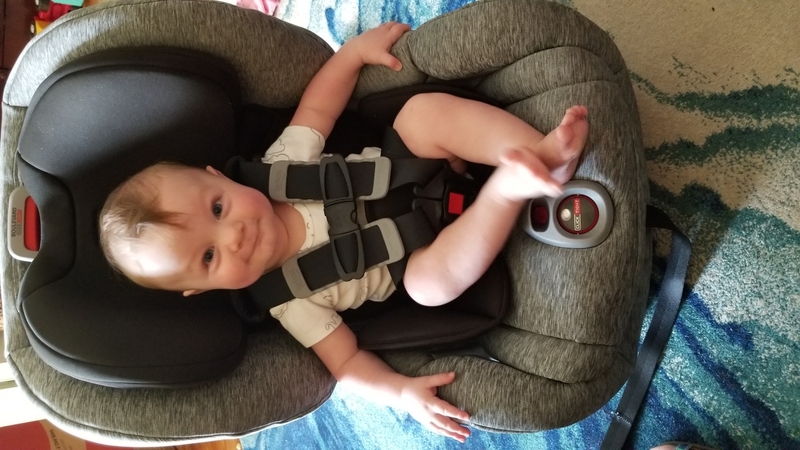 The only issue i have had with this is that when it is inclined, i have difficulty tightening and loosening the harness because the strap is squished between my car seat and the baby seat but as I use it, it seems to be loosening up. Overall, I am very happy with this purchase and the price was right. Quick delivery too. 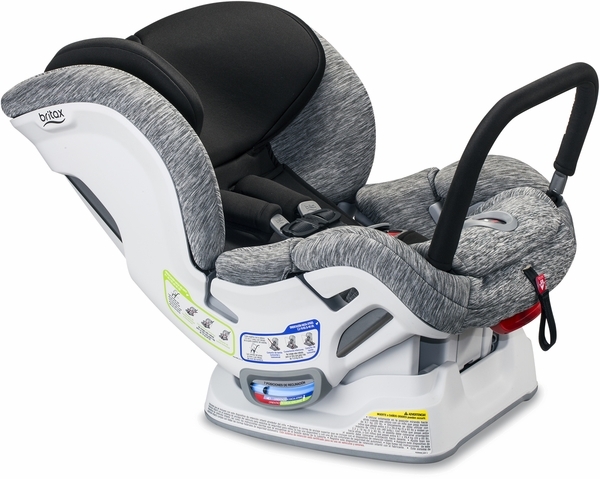 This is our second britax convertible care seat. 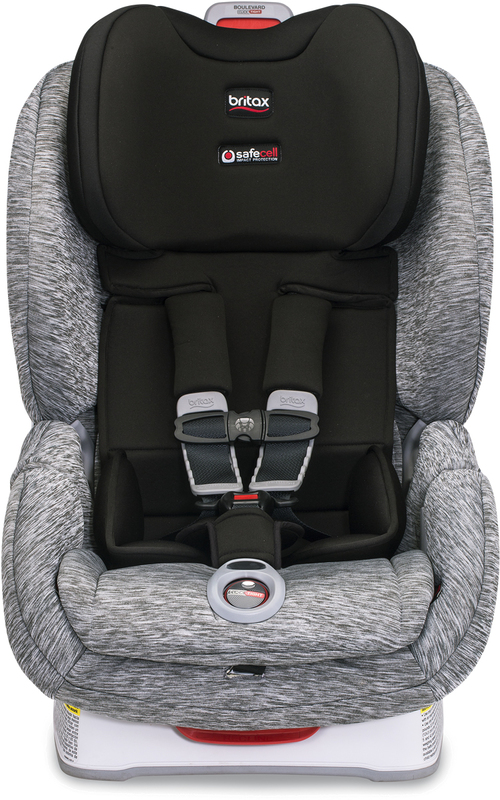 We purchased a maxi cosi pria that is a very nice looking car seat but not as easy to install and the harnus does not click to tell you its secure like the britax models. 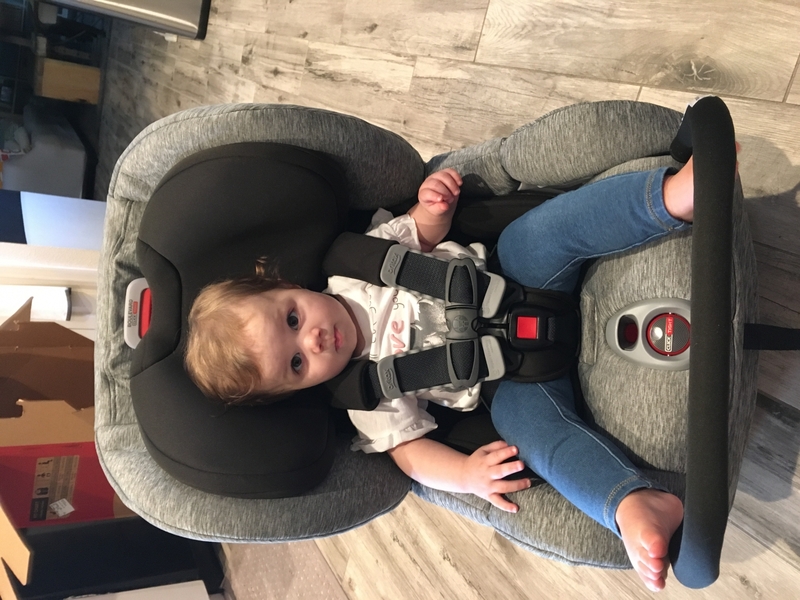 This car seat is really easy to instal and my daughter prefers it to her maxi cosi. We also have an advocate but bought this for our truck because is slightly smaller than the advocate. I highly reccomend britax car seats. Love the fabric & color! Very sturdy car seat and easy to install. My only wish is that it had a built-in cup holder. I bought the spark for original prize a couple weeks ago. I can't rave enough about this seat. As a mom of five I have tried several and already liked the marathon a lot but this is even better. The fabric is easy to clean yet soft. The seat is well cushioned. It is also quite small in the sense that it fits well in tight spaces. It took us only a couple minutes to install and I feel like my LO is super safe and comfortable in this seat even on long rides.